Former employees of defunct games retailer GAME are occupying shuttered stores across the Republic of Ireland to protest a lack of redundancy pay. After months of financial turmoil, The Game Group, the largest specialist games retailer in the United Kingdom, went into administration (read: bankrupt) earlier this week. As part of the administration deal, financial firm PriceWaterhouseCooper (PWC) was called in to restructure and attempt to salvage as much of the business as possible. One of the firm's first moves was to make redundant 2,014 GAME and Gamestation employees across 277 stores, offering each one appropriate compensation. However, it has now come to light that such compensation is not being offered to former employees in the Republic of Ireland. No administrators for The Game Group's assets in the country have been appointed, leaving its former Irish employees in limbo. To protest this vacuum and the lack of compensation offered to them, around 110 former employees are now staging sit-ins across eleven shuttered GAME stores in the Republic. According to a statement released by the protestors, PWC has failed so far to offer them anything other than information relating to how their former colleagues in the United Kingdom and Northern Ireland can access compensation. The firm reportedly told them to appeal to the Irish government for assistance with compensation, but in the words of the protestors, accessing money that way could take over a year at the same time as placing an unnecessary burden on the Irish taxpayer. 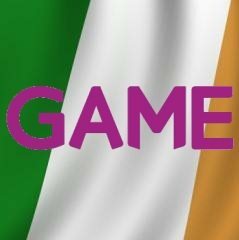 "We've been told that we'll be paid for March this Friday but we're unsure that that will actually happen," said Emma Walsh, former manager of the Limerick branch of GAME, in an interview with Journal.ie. "We're hoping to hear that they'll listen to our concerns. We feel we've been treated unfairly." The stores under occupation are still filled with GAME's stock, which the employees have been asked to pack up and prepare for removal. They're not about to do that, however. "We're not going to damage stock but we're not going to clear the shops and send it back until our claims have been met," commented Walsh. "Everyone is in good form at the moment. We're pretty resolute and ready to fight," Walsh added. The protestors have set up a Facebook page and Twitter account to spread the word about their situation. Various voices from the worlds of Irish politics and business, including political party Sinn Fein, have announced their support for the group. The protestors have been told to expect word from PWC and representatives of The Game Group in the coming days. In the meantime, Twitter chatter under various hashtags relating to the protest paints a picture of former employees settling in for another night in the stores, ordering dinner and thanking onlookers for their gifts of airbeds and other kindnesses. As uncomfortable as this must be for them, having to sleep in shopping malls knowing that they've just lost their jobs, it seems that the former staff are to be commended for fighting for their rights so peacefully and with such consideration. You can show support and keep up to date with the protestors' progress on their Facebook and Twitter pages.